The time has come to vote for new club captains. This year we have had 1 nomination for a male captain and 4 nominations for female captain. The attached document has pen profiles of all the nominees. 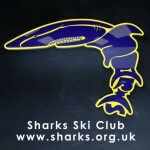 Voting is open to all Sharks Ski Club members under the age of 18. Voting this year will run to a tight deadline if we are to be able to announce the winners at the AGM on the 11th June. Details of how to vote are on the Sharks Facebook page…. Deadline for voting will be at midnight on 10th June. For those of you who prefer not to vote by email, there will be an opportunity to fill out a voting slip at the Sharks Saturday Ski session this week and next. Deadline will be 9am on 11th June. Good luck to all all nominees, and lets get those votes rolling in.